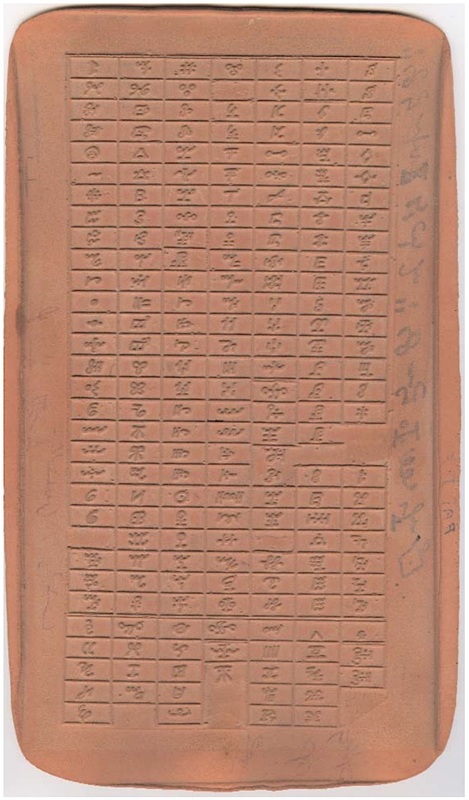 The Vai syllabary was invented around 1833 in Liberia by Mɔmɔlu Duwalu Bukɛlɛ, who was inspired by a dream to create a writing system for the Vai language. 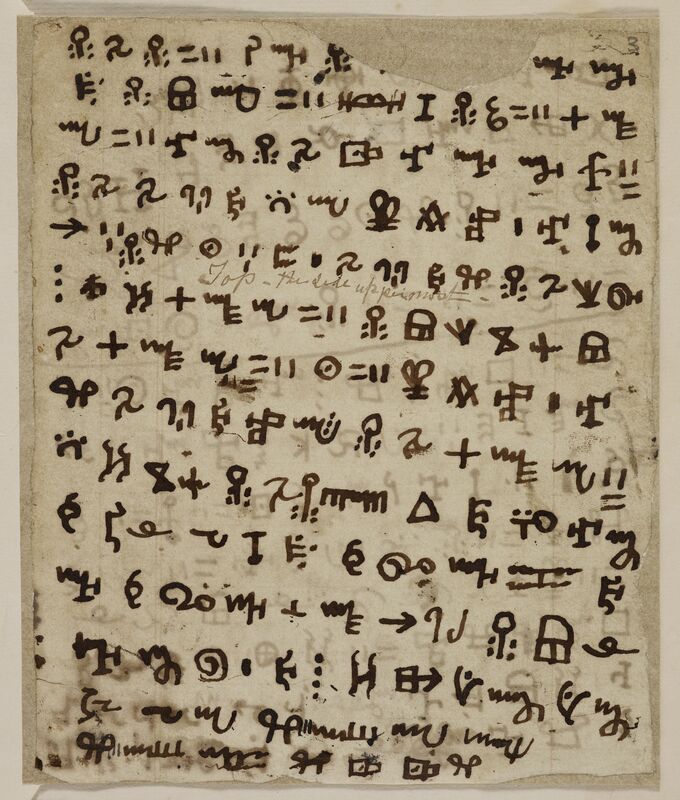 One of the many interesting facets of the Vai script is that it seems to have been the first West African indigenous non-colonial writing system in a region that was to become remarkable for them. Despite the astounding variety of writing systems at use across the planet, most are adapted from an existing script rather than created. Wholly new alphabets are rare. Yet in the past 200 years an amazing number of writing systems have been created pretty much from scratch. Even more surprising is that, if you open a map of West Africa and put the point of a pair of compasses on Monrovia, the capital of Liberia, and draw a circle with a radius of about 500 miles, you’ll find that most of those new writing systems were created within that circle. Between 1800 and 1950 more indigenous writing systems were created in West Africa, in fact, than in any other comparable area in the world. This dense ferment of linguistic creativity almost certainly has something to do with the fact that within recent history the region saw constant close encounters between indigenous unwritten languages and colonial written languages — but it’s hard to know how the impulse to create scripts began, or spread. So let’s start with what we know. In 1849, a missionary with the Church Missionary Society in Sierra Leone named Sigismund Koelle was sent by his supervisors to the Vai country at Cape Mount, which is now part of Liberia, to investigate what must have been an intriguing rumor: Frederick Forbes of the Royal Navy had reported that an indigenous script was in use among the Vai people. Koelle spent seven weeks among the Vai, during which time he met Duwalu Bukɛlɛ, who claimed to have invented the script. Koelle collected two manuscripts written in Vai characters, one belonging to Bukɛlɛ himself, another belonging to his cousin Kali Balla. Later, Koelle discovered another manuscript in Monrovia, said to have belonged to a man named Gotolo, who had ruled the Gawula and Tombe sections of the Vai country until his death in 1847. According to Bukɛlɛ according to Koelle, so to speak, Bukɛlɛ had invented the writing system around 1820 as the result of a dream “…in which a tall, venerable-looking white man, in a long coat, appeared to me saying, `I am sent to you by other white men… I bring you a book…’” The white man revealed a written script that, on waking, Bukɛlɛ couldn’t remember. Given this impetus, though, he called in a number of friends and together they created the symbols that made up the Vai syllabary. Another version says that while Bukɛlɛ was working as a messenger on a Portuguese ship, he became curious about the written messages he carried, which enabled the recipients to understand the captain’s wishes without hearing his spoken words. This experience precipitated the dream, which in turn precipitated the script. We can’t be entirely sure of the players or the dates, and some scholars believe the symbols were in use beforehand, and now were being put to a more specific and organized use. In a sense, the narrative matters more than the facts or the dates. Whatever its origins, Vai flourished for a range of reasons that show how important a written language can be, especially for an indigenous people in a time of colonialism. 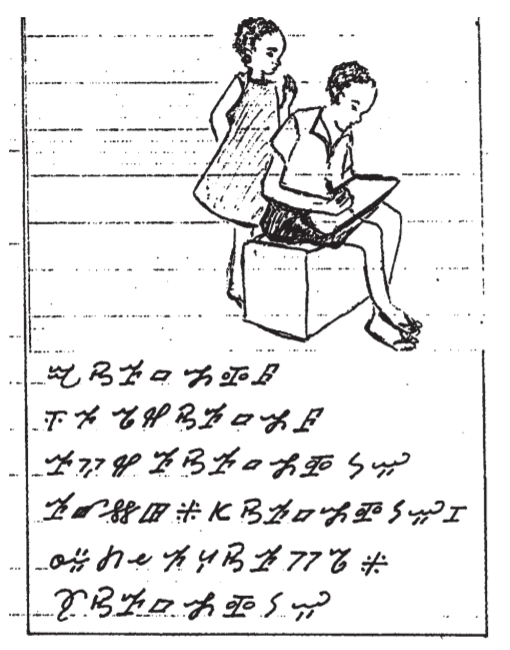 First of all, the Vai syllabary was taught in schools throughout Vai territory and was learned so rapidly and easily (perhaps because it was based on symbols already familiar to the learners) that some scholars have suggested that the rate of literacy among the nineteenth-century Vai was, in some areas, greater than in many areas of the United States and Europe. Second, Vai played an important role in trading between the Dutch and Portuguese colonial powers and peoples from the interior of Africa. 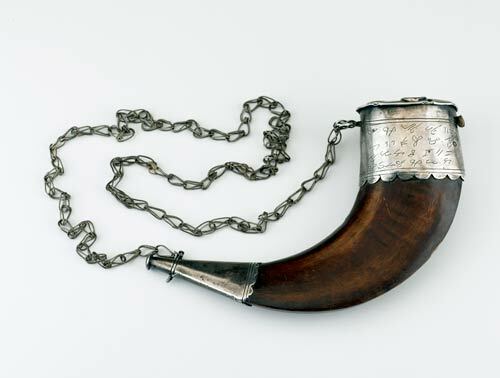 Brokering exchanges of gold, exotic woods and ivory for salt, tobacco and metals, they had a huge advantage in being able (unlike neighboring tribes) to keep records and create written communications. 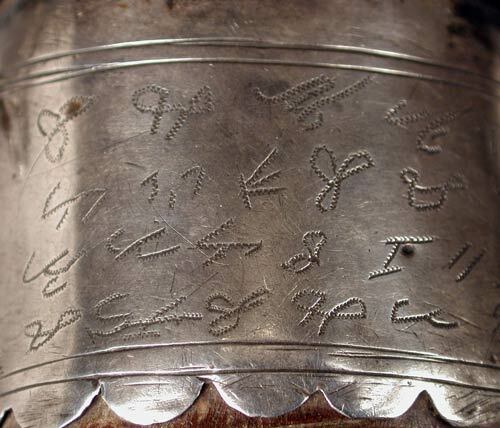 The Vai syllabary may also have acted as code in the by-then-illegal slave trade. On a more pragmatic level, Bukɛlɛ himself addressed the fundamental challenge of script creation: inventing it may be easier than getting it used. He established schools throughout the Vai-speaking region to propagate his script, and literacy became widespread; by 1899 most of the Vai were said to be literate. During the twentieth century a lengthy manuscript was published, detailing clan histories, Biblical and Qur’anic translations, and folktales. The script was standardized in 1962, and remains in use today, particularly among Vai merchants and traders. The Bible Society in Liberia has recently published a New Testament and the Institute of Liberian Languages has published several compilations of folktales and history. The Institute for Liberian Languages publishes in the script. It is also widely used in commerce, as well as for newspapers, tombstones and in traditional rituals. It is one of the two most successful indigenous scripts in West Africa in terms of the number of current users and the availability of literature written in the script, the other being N’Ko. 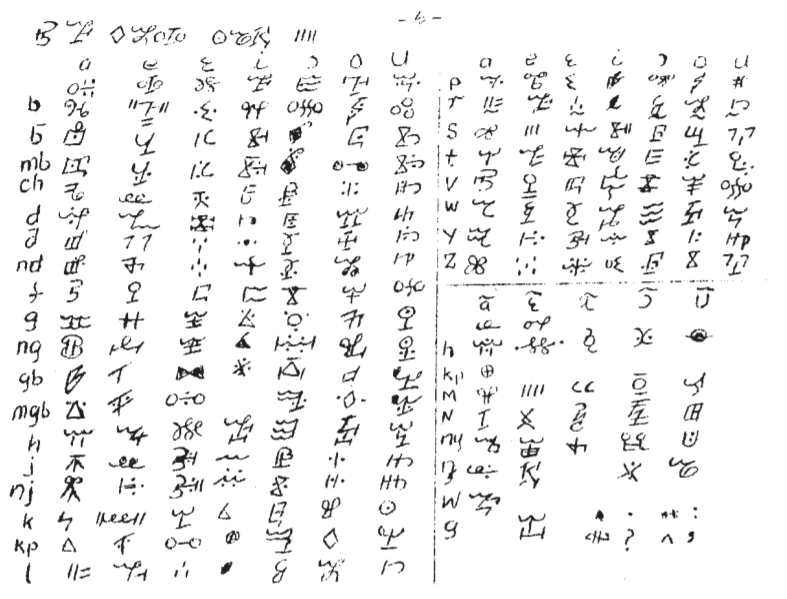 Finally, it is possible — just possible — that the Vai script may have been modeled on the Cherokee syllabary. 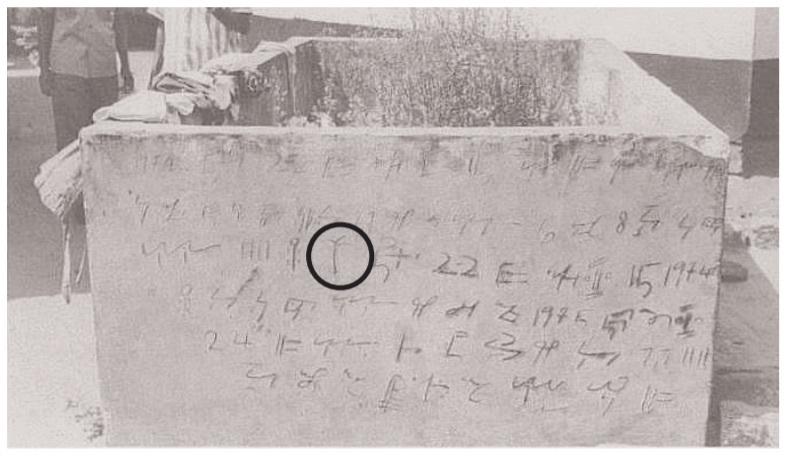 Astonishingly, a Cherokee named Austin Curtis emigrated to Liberia after the Cherokee syllabary had been invented and was being taught among his people, but before the invention of the Vai syllabary. He married into a prominent Vai family and became a Vai chief in his own right. Several other factors would have had to fall into place in order for the idea of a syllabary — an indigenous syllabary, a wonderfully radical notion for the time–to have reached the Vai, but it’s not impossible.